Verify and transmit accurate patient data into your LIS and billing systems. Lifepoint is transforming the way healthcare organizations meet interoperability challenges. Seamlessly integrates to any existing workflow. Connects to Lifepoint’s EMRHub, or EMR, LIS, and billing system. Lifepoint connects via HL7, API or JSON. Lifepoint’s team of experienced project managers and engineers will handle all aspects of the integration from project initiation to development. Allow your IT staff to focus other needs. 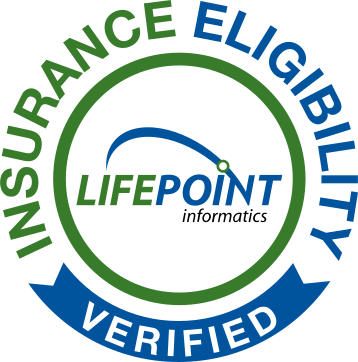 Verify member benefits coverage for 93% of the insured U.S. population. Access over 700 real-time connections to Medicare and commercial insurers. is transferred into your billing, LIS and registration systems. Seamlessly integrate real-time insurance eligibility verification and accurate patient information into your laboratory workflow. 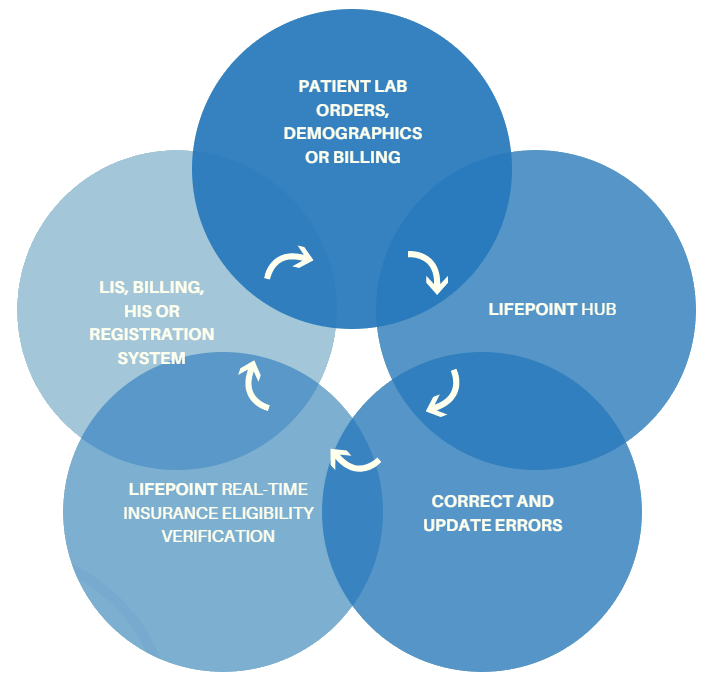 Lifepoint’s eligibility verification collects patient information from inbound EMR order, demographics and billing interfaces via HL7, FHIR or API. These are then sent to health insurance payers in our network. 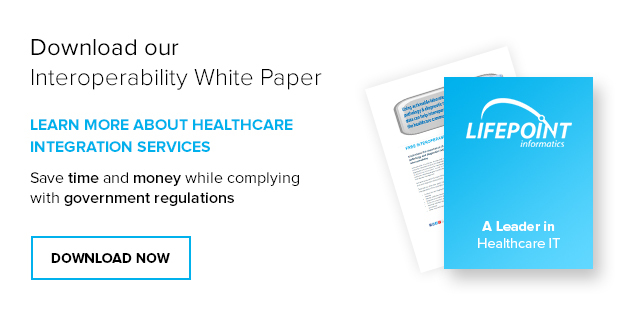 We then validate payer responses and return eligibility results in real-time. Verified patient information can be transmitted to LIS, billing, HIS and registration systems.